In order to give you the easyest way of requesting and ordering we developed a comprehensive B2B-shop-system, which is directly reacheable by typing shop.druseidt.de in your browser. Click here to start our shop! 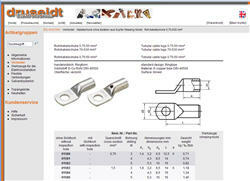 In case of problems with our shop-system send an email to hotline@druseidt.de.